Congratulations - you’ve made the decision to get a tattoo. Whether it's your first one or your hundredth, choosing the style or “genre” in which to render the tattoo is an important choice, because the right style can make your tattoo a better one. When discussing your idea with your tattooist, you will go over many artistic details, but you will always address the basics— what is the tattoo, what size will it be, where on the body will it be, and what is the budget you’re working within? 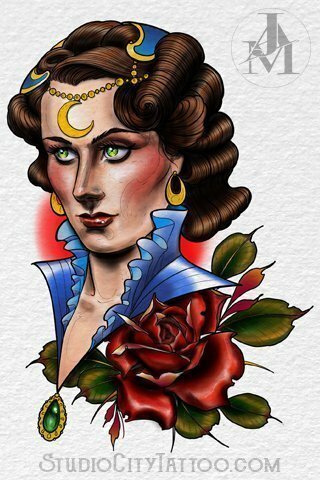 Some tattoos work best in a traditional format and some work better in a more realistic or illustrative one. For example, is the image you’re working with simple or complicated and detailed? 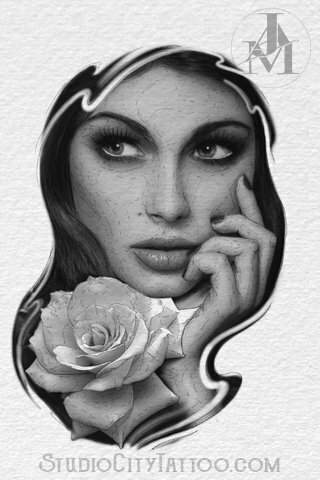 A flower or an anchor can be rendered in almost any style, but something very detailed like a face or a city landscape would often work best in a more illustrative or realistic style. Keeping placement in mind, some parts of the body are generally too small for a highly detailed or realistic tattoo—elbows, knees, and hands, for example. When factoring in budget, understand that smaller, simpler tattoos will be less expensive than larger, more detailed ones. Thinking about these basics, discuss with your artist what’s most important to you about your tattoo and they will guide you in the right direction. 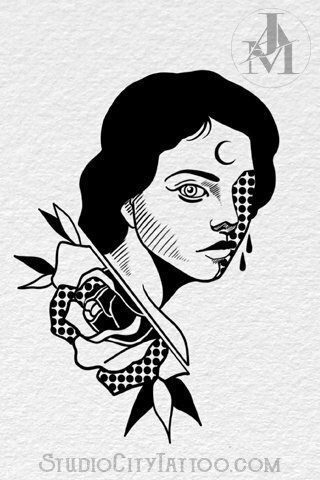 Tattooing is forever and we want to, above all, help you choose the best style for your piece. When choosing an artist, look through the portfolios of anyone you’re considering and see if they have done pieces with line work, shading, and color styles that would best work for your tattoo. Base your decision on these things over whether or not they’ve ever tattooed the image(s) you’re trying to get. Art is subjective and you might be drawn to a particular color palette or line weight, so look for these traits in a portfolio to help you choose an artist. Almost every artist can do most styles, but some have a “specialty” or a favorite genre in which to tattoo. Ask your artist what they prefer and they will probably tell you if your tattoo project is something they would be interested in creating or if they would recommend you use another artist that would be better suited for the style you’re looking for. The artist will never steer you wrong when it comes to style and/or what’s possible in the tattoo you’re trying to get, so listen to the advice they give you and trust that they want to give you a great tattoo. Know that it is your decision to get tattooed, but it is the artist’s job to give you their opinions on what will work best for that tattoo. To help you see some of the real differences in genre options, I've chosen to draw the same tattoo idea—a woman and a flower— with multiple approaches. The following stylistic renderings are not by any means the only options out there, however they are some of the more common ones. Line work is bold with a limited color palette and heavy shading. There’s often a peppery look to the image and open skin (to indicate a highlight) in places as well. The imagery is simple and smaller scale, usually with limited or no background. 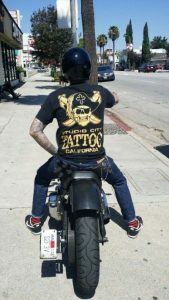 Traditional American style tattoos are often associated with the Armed Forces, especially the Navy. Common imagery includes anchors, pinups, birds, and ships. This style looks great for all areas of the body and will be a bold, bright statement ! Heavy line work and a bold, cartoonish look. It utilizes very exaggerated depictions of the subject with bright, vivid “wall to wall” colors and black shading. 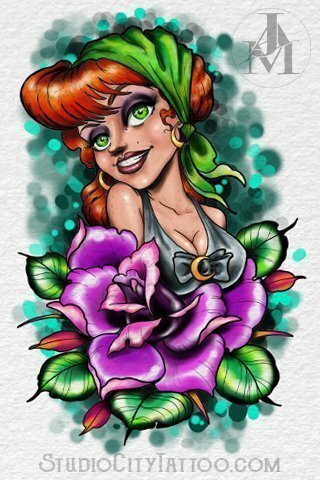 This style is similar to traditional or old school tattooing but with a cartoonish or graffiti-style approach and almost no blank skin. It works great for arms and legs, or large areas of the body. great for all areas of the body and in most sizes. Traditional Japanese style uses bold, simple imagery. 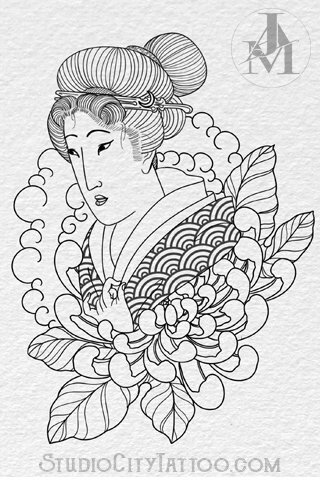 A tattoo in this style is usually approached as one giant painting. The foreground imagery utilizes bold, simple colors and minimal shading, and is generally set against black or fairly dark backgrounds of wind or water, to make the foreground pop. It is great for koi fish, flowers, dragons, samurai, geishas, etc. Japanese style is great or all parts of the body but really shines on large sections—anything from sleeves to backs. Whether in black and gray or color, realism imagery is pretty straightforward. It’s great for portraits, be it a loved one or celebrity character. The lineweight is almost nonexistent, giving this style a softer, more life-like appearance. 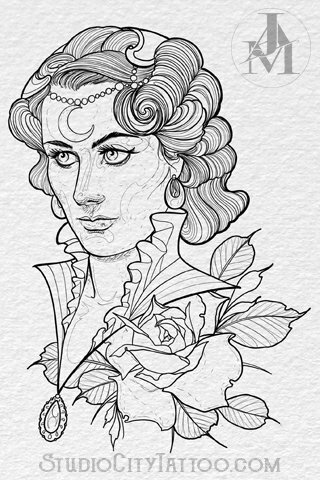 Instead of relying on true linework, realism utilizes shading or tone to give the image shape and contrast. This style works best on smooth, flat planes of the body, such as forearms, thighs, and calves. It is best to avoid bendy or odd spots of the body that would distort the tattoo. By definition this style uses the boldest contrast between black pigment and open skin. It uses everything from repeating patterns to stippling texture. This style covers everything from mandala-like, intricate pattern work to simple sketch-like linework, and is great for small and large parts of the body. 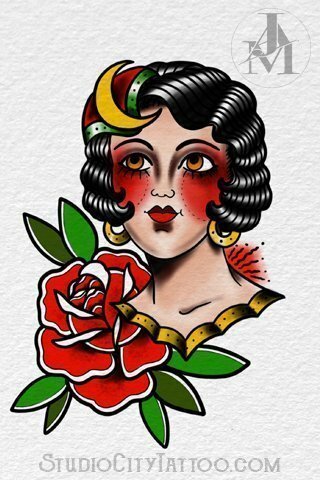 Got a questions about tattoo genres & styles ? 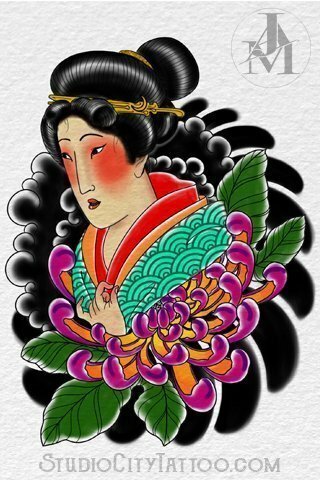 Checkout the work of our different tattoo artists on this gallery page.